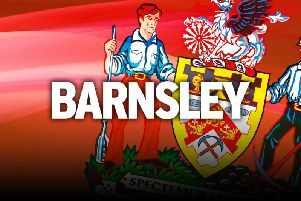 Barnsley head coach Daniel Stendel has no concerns about allowing two of his players to join promotion rivals in the transfer window. George Moncur was signed by Luton and Lloyd Isgrove went to the Portsmouth – the two teams that currently sit above the Reds in the League One table. The two situations were different as Moncur moved to Kenilworth Road having intimated he would not be signing a new contract at Oakwell, so the Reds were able to recoup a fee for the midfielder whose deal expired in the summer. Isgrove's spell in South Yorkshire was ravaged by injuries and also out of contract in the summer, Stendel decided that the winger was not part of his plans. “The situation is both players were expiring in the summer,” Stendel said. “George and Izzy are different. “George played a lot of games and decided games for us. It was more difficult. Isgrove and Moncur and Brad Potts were not the only exits last month as following Andreas Winkler out of the club is chief executive Gautier Ganaye. Ganaye has gone to work at French Ligue 1 club Nice and Stendel is sad to see the man who appointed him leave. “He appointed me and we worked together,” the German said. “We have a good relationship at work, and next to work. It is a little bit sad. “We started the project together in June, but I can only same the same as Andreas. We started all together, but he left for Huddersfield. “It is a little bit disappointing, but in football time goes on. “He is not here in the next months every time, but he supported us and speak in the future to see what we can do to achieve our goals. That goal includes winning promotion to the Championship, something they can get closer to with a win against Scunthorpe on Saturday. The Reds have no fresh injury worries as they aim to continue their unbeaten home record. Stendel added: “Our supporters and our staff together, it is very difficult to play against us at Oakwell.